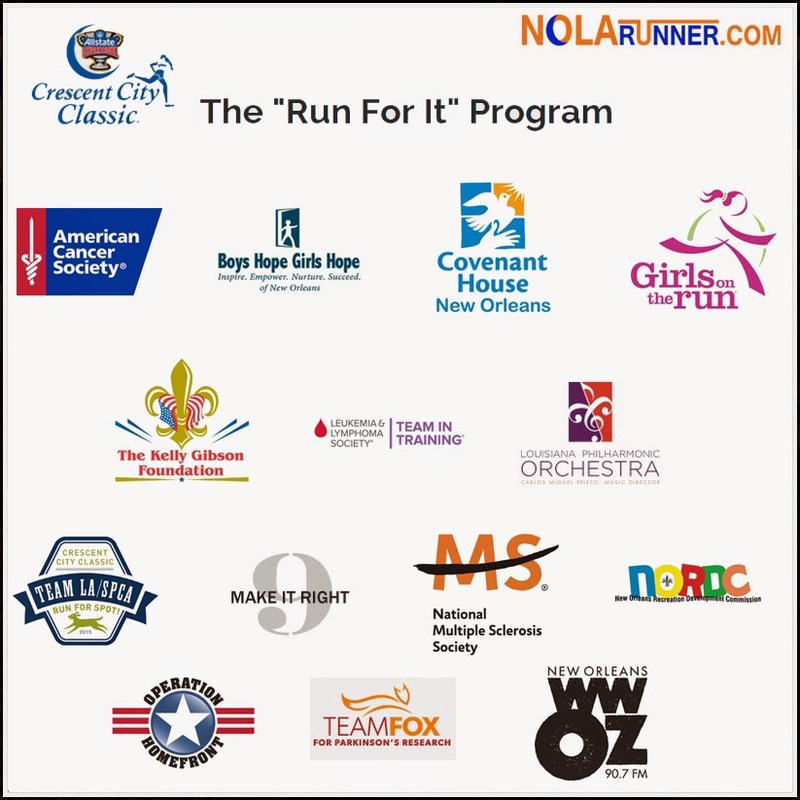 The Crescent City Classic yesterday announced their selection of 14 local charities to serve as the official Charity Partners of the 2015 Allstate Sugar Bowl Crescent City Classic 10K race, taking place in New Orleans on Saturday, April 4, 2015. As Charity Partners, the select 14 non-profit organizations will be part of the “Run For It” Program, the Official Charity Program of the Allstate Sugar Bowl Crescent City Classic, After successfully generating over $300,000 for local charity and nonprofits in 2014, the Crescent City Classic hopes to raise $1 million through the “Run For It” Program to serve the needs of the Greater New Orleans area. This year, 14 official Charity Partners were selected, but funds will be donated to a total of 17 local charities, each of which has a distinct mission. The diversity of the charities allows the Classic to support a wide range of groups in need. Through the “Run For It” program, the Crescent City Classic donates 100 bib numbers (guaranteed race entries) to each Charity Partner. Official Charity Partners then recruit 100 runners/walkers who can commit to raising a minimum of $200 for their charity by Race Day on April 4, 2015. The select Charity Partners are asked to raise a minimum of $20,000 by Race Day, as well as supply 20 volunteers for the Start Line on Race Day, to be considered for the 2016 "Run For It" Program. Want to get involved with one of these "Run For It" charity partners and run on their behalf in the CCC10K? Learn more about the perks and incentives offered by going to the CCC10K fundraising page HERE.